The thought of a stranger living in your home in secrecy sounds like something right out of a nightmare or a horror movie. It definitely isn’t something anyone ever wishes of coming home to or being woken up to by the sound of someone’s voice they do not know. Can you imagine walking in your front door only to find somebody you don’t know cooking in your kitchen? We couldn’t. Some people have had the unfortunate run-in where they have found unwelcome guests living right inside their homes, though. As scary as this thought may be for some, it has happened before. While most of the interlopers found usually tend to live in the attics of homes, they sometimes can be found in the basements, under the houses, or even in the closets. Some of these unwanted guests have been able to live in their victim’s house for over a year before they were ever recognized or caught! Now that is one chilling thought for any homeowner to have, especially if they have kids of their own. You never know what might happen if you are in the wrong room and the wrong time and the interloper is in that room at the same time. Others who lived in secrecy were able to escape before every being identified and caught. Hopefully after being spotted and found they’ve learned their lesson and are no longer seeking shelter in the homes of others! The only thing good that comes out of hearing about things like this is the stories the victims have to tell about their experiences, and even that in itself is still sad and somewhat frightening! Here are 10 people who secretly lived in other peoples house’s without their knowledge. Let us know what you think about this and what would you do if you ever found out someone you didn’t know was living in your home in secrecy? Tracy thought that she and her five kids were the only occupants who were living in her South Carolina home, until in 2012, she wound up discovering that someone else was also secretly living with them, an ex who she broke up with 12 years earlier. Tracy wound up hearing some odd noises in the attic of her home one day before discovering her ex. She and two of her sons ended up checking out the attic and found nothing. Throughout the night the strange noises they were hearing would continue. Nails and plaster from the ceiling also wound up falling on her floor and bed. 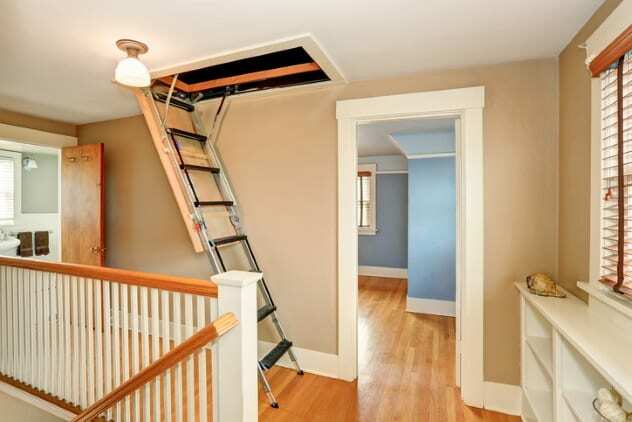 Tracy called one of her nephews the next day to check out the attic again. At first, the nephew didn’t find anything in the attic, until he went deeper into the attic and discovered where her ex had been sleeping. Smiling, the ex hurriedly left Tracy’s home. Tracy later found out that he was able to see her bedroom through one of the air vent’s. Talk about creepy. Tracy couldn’t put her finger on why or how her ex managed to get into her home or how long he’d actually been living there. However, a year earlier he had helped her add new doors in her home and just completed a sentence of 90 days for grand theft auto. The vehicle he stole was hers. The ex left his belongings in the attic, which included his toys, photos, cassettes, and several cups of urine and feces.